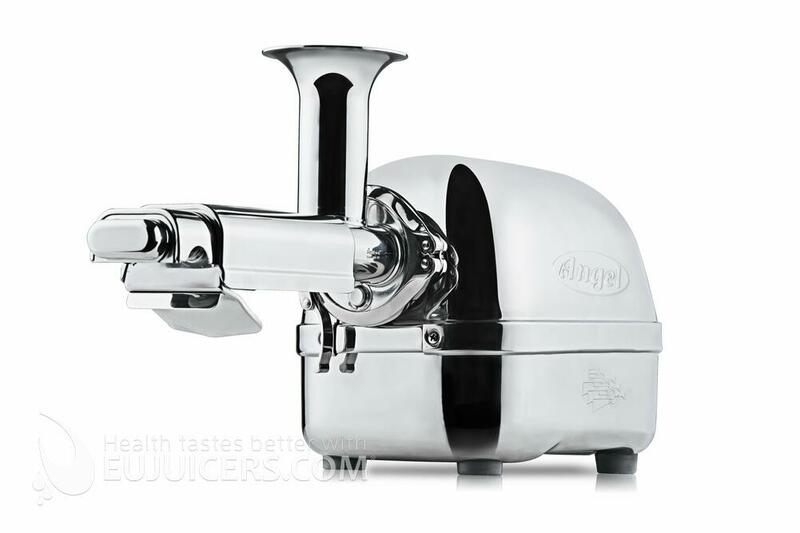 With only 82 rpm's, the Angel juicer retains all important elements inside the juice which are important for the body such as vitamins, minerals and other elements. The juicer is equipped with the latest type of „dual gear“ set of gears, which effectively and at the same time carefully process the individual produce in two steps. In the first stage, the produce is ground roughly and, in the second stage it is literally “chewed up”, by which the best quality juice is separated from the dried, squeezed fruits and vegetable. 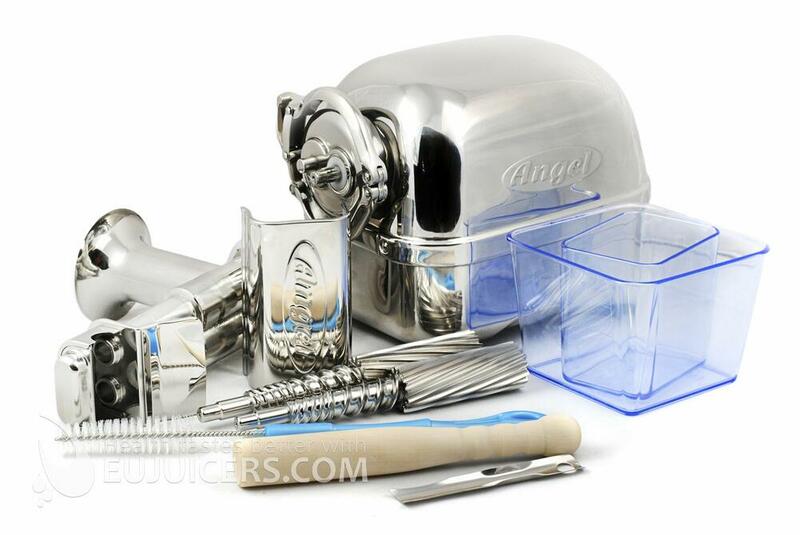 The Angel juicer is made up of only four parts thus the assembly and disassembly of the juicer is very simply. Angel juicer machine is able to juice practically every kind of produce – fruit, vegetables or herbs (from carrots to apples, even wheatgrass or spinach). The juicer has excellent results even when processing barley sprouts, leafy vegetables, herbs, shoots and sprouts. At the same time, it can make tofu, savoury pate and peanut butter! DIFFERENCE - MODEL 5500 AND 7500: When juicing vegetables (for example wheat grass, etc.) it is easy to overlaod a juicer. 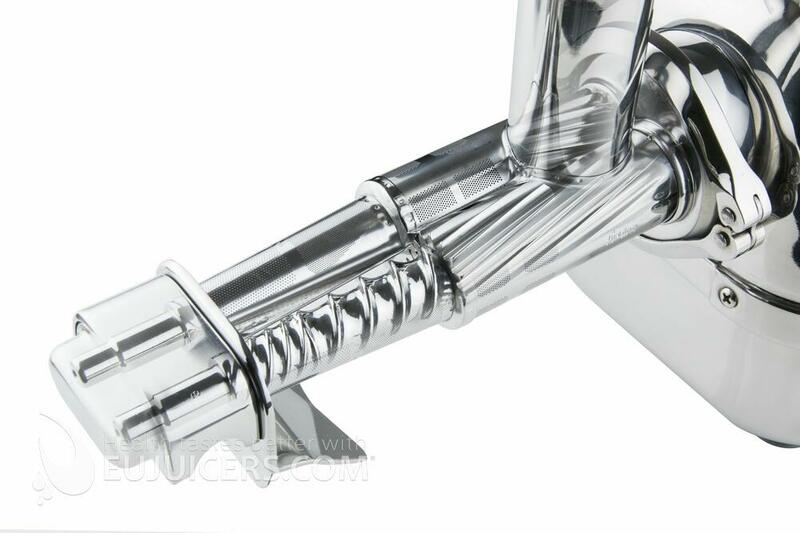 The 7500 automatically senses the additional pressure and reverses out automitcally. This will prevent too much pressure building up in the machine which could possibly damage the sieve. please contact our UK partner Juiceland Ltd. 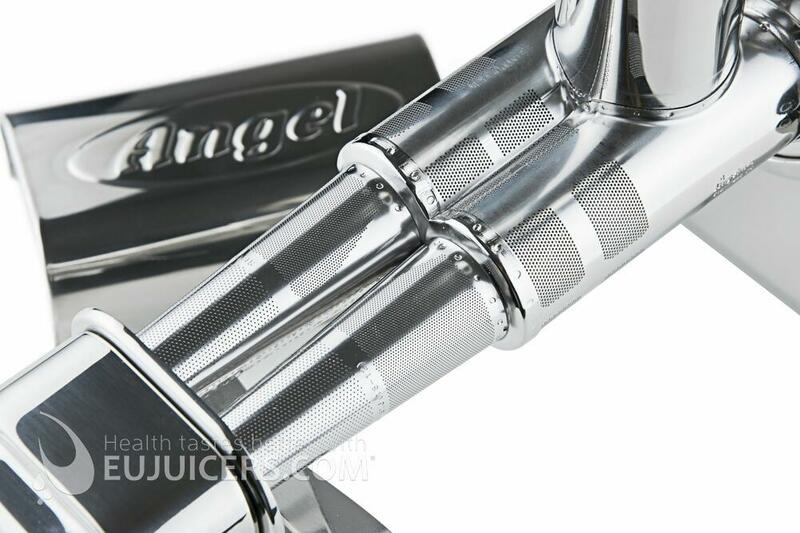 Please note that we do not ship Angel Juicer to these countries: RUSSIA, KAZAKHSTAN, FINLAND, ESTONIA, LATVIA, LITHUANIA, BELARUS, UKRAINE, AZERBAIDZHAN, ITALY, KIRGHIZSTAN, TADZHIKISTAN, TURKMENISTAN, MOLDOVA, SWEDEN, NORWAY, GEORGIA, UNITED STATES, UNITED KINGDOM. 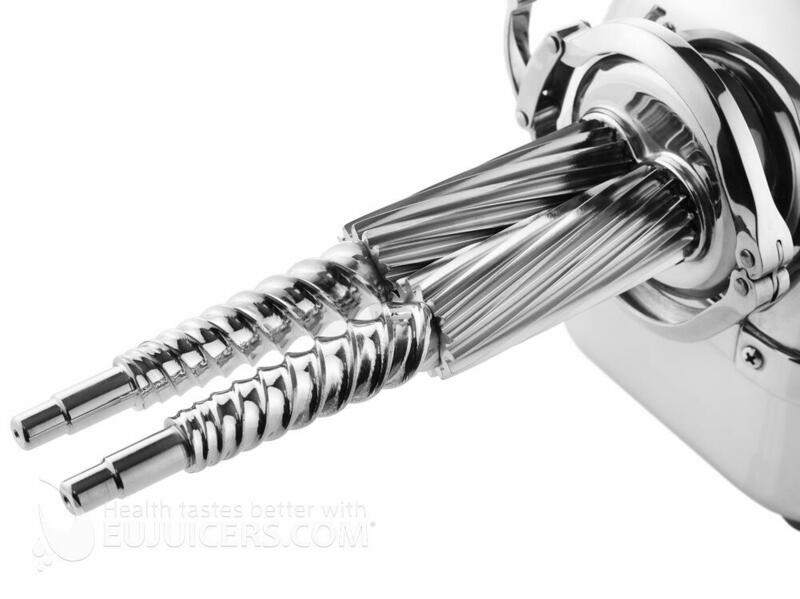 Tests on this juicer were surprising – such excellent results are not usually seen! We have tested – carrots, apples, oranges, grapes, currant and lettuce. Carrot pulp is considerably drier than from all the other machines and there was almost no apple pulp remaining. The machine really extracts all the juice from lettuce. The price you “pay” will pay back in maximum yield. There are less parts to clean but you will have to use the enclosed brush and tools for cleanig the juicing screens. This might take few minutes. We recommend soaking it over night in water. 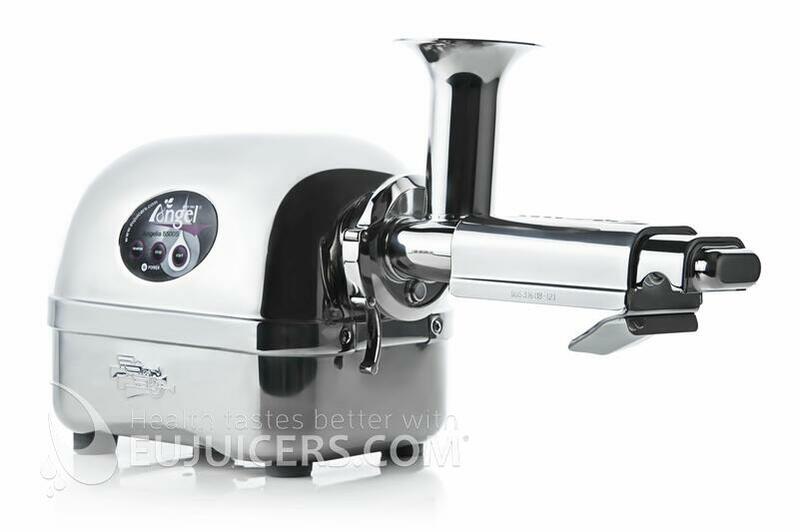 An advantage of this juicer is its larger (43 mm) feeding chute (standard size - 38 mm diameter). This juicer is the best dual gear juicer on the market.